Well, This Is Us finally did it — they killed Jack. In a heartbreaking and emotional episode, we saw everything about Jack’s death play out on screen, from the fire, to the ambulance, to the hospital, to Rebecca breaking down following the news of her husband’s death. And while that’s sad, and certainly got a lot of tears from us, the episode also featured a moment of HAPPY tears, as we jumped into the future at the episode’s end. Omg, did This Is Us just introduce a *third timeline* into the show? It sure looks like they did, and listen, I am here for it. While the family grapples with Jack’s death, Randall is off busy *celebrating* his dad, and also trying to throw a Super Bowl party for his little girls. Beth happens to notice that the phone keeps coming off the hook, and she’s like “what the hell, kids.” It doesn’t take much to put two and two together for us to realize that it’s Tess who’s taking the phone off the hook, because she doesn’t want the social worker to call and send them another foster kid. Though she came to really love and appreciate Deja in the end, Tess doesn’t want Randall to love anyone more than her. Randall sits Tess down and explains to her that there’s no way he can love anyone more than her, because he loves her so much — “You my Number 1, baby girl. You’re the girl that made my life somersault.” Hold on, crying over this. Throughout the episode, we’re led to believe that the Pearsons are about to get another new foster kid, a little boy named Jordan (who looks like a little Randall, and this seems like fate). However, the end of the episode reveals that the social worker with Jordan is not someone random, but Adult Tess. Older Randall shows up to see his daughter at work with foster kids. It turns out that Tess likes fostering, so we can assume that when she began to understand the positive impact it had on her own family, she decided to do the same in her own life. 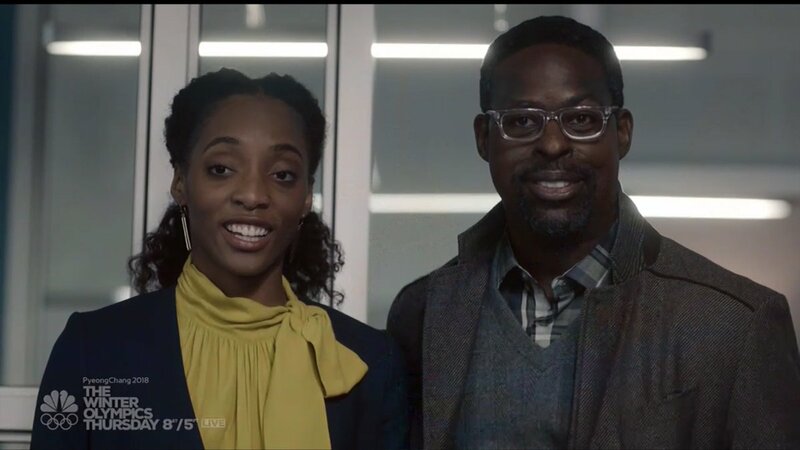 Also let’s just take a second to appreciate Sterling K. Brown as Even Older Randall, and like, is there any age this man WON’T look good? This might have been a one-off thing, or maybe it really is a brand new timeline that This Is Us is going to start exploring. Honestly, if it means more Even Older Randall and Adult Tess adventures (and times to cry) we’re here for it.